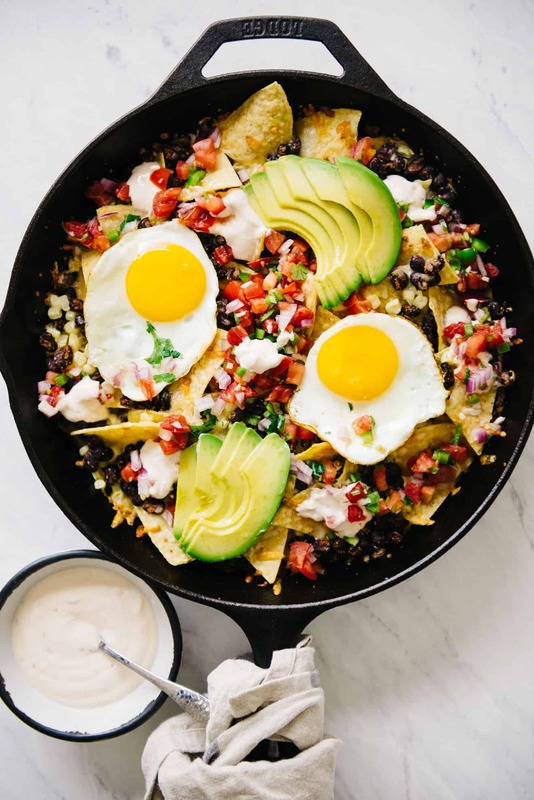 This epic breakfast nachos dish is loaded with black beans, corn, cheese, salsa, fried eggs, avocado, and a spiced yogurt sauce. The best part is that the nachos are ready in just 20 minutes! Thank you Safeway for sponsoring this post! I have a serious addiction to nachos. They helped me through Friday nights during my freshman year of college, and my love for them hasn’t waned. 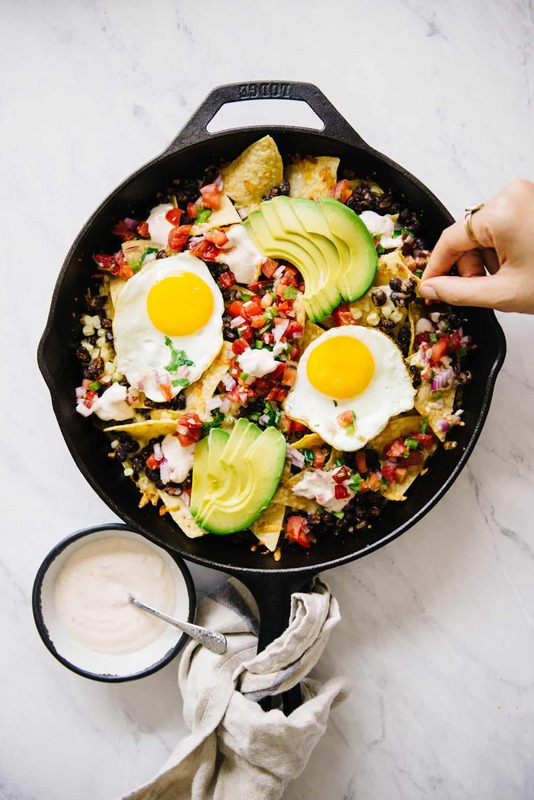 The thing about nachos is that we usually associate them with junk food because they’re often served with greasy meat and a mountain of cheese and sour cream, but there are definitely ways to make them healthier! Let me show you how. To make healthier nachos, you have to start with wholesome, natural ingredients (i.e., not the weird cheese sauce that comes in a can). 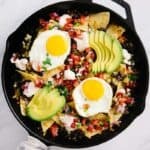 My breakfast nachos are loaded with lean protein (black beans), corn, salsa, avocados, and just about a handful of cheese. I also topped the nachos with fried eggs and a chili yogurt sauce made with Safeway’s Open Nature products. Open Nature is a Safeway-exclusive brand that is all about promoting a natural lifestyle through high-quality, minimally-processed products. 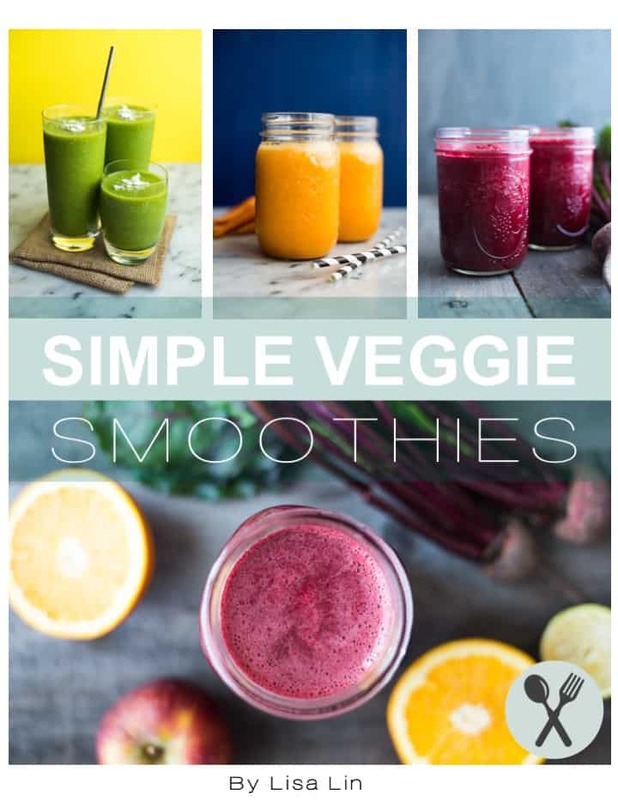 The food products are free from artificial ingredients, so there are no artificial colors, flavors, sweeteners, preservatives, chemical additives, hydrogenated oils, or high fructose corn syrup. Besides the food products, Open Nature also carries a line of home products that are dye free and never tested on animals. 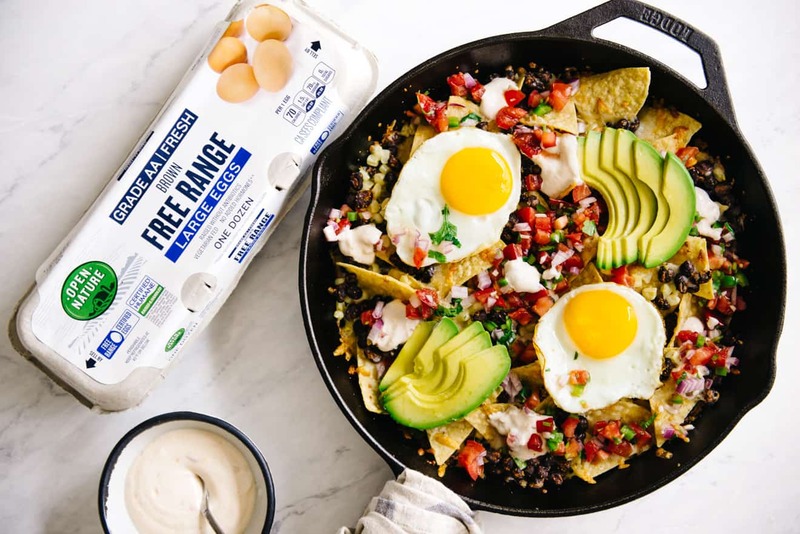 For the nachos, I am using Open Nature’s Free Range eggs that come from hens that are vegetarian fed and raised without antibiotics. 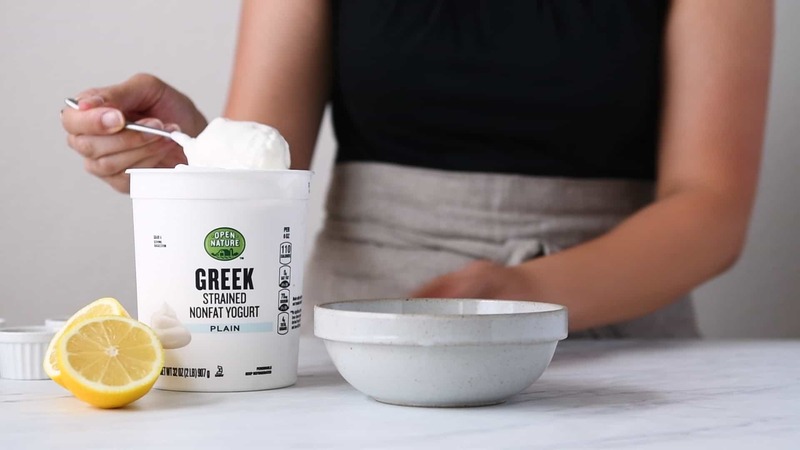 I also made a light yogurt sauce with Open Nature’s Greek Strained Nonfat Yogurt. It is nice and thick without being overly dry, and it is a great, healthier substitute for sour cream in the nachos. From start to finish, these nachos take about 20 minutes to cook. They are the ideal meal if you want to whip up something quick for brunch on the weekends! Preheat the oven to 375ºF (190ºC). Position an oven rack to the center position. In a small bowl, mix the black beans with the shichimi togarashi. Set the beans aside. Lightly grease a large 12-inch cast-iron or oven-proof skillet. Spread 4 cups of tortilla chips over the skillet. Top with half of the corn, black beans, and cheese. Layer the remaining chips, corn, black beans, and cheese on top. Bake the nachos for about 15 minutes, until the cheese has melted and starts to brown. While the nachos are baking prepare the chili yogurt sauce by mixing all the ingredients in a bowl. Set it aside. Swirl 2 teaspoons of olive oil in a frying pan over medium heat. Fry 2 to 4 eggs for several minutes, until the egg whites are cooked. Remove the nachos from the oven. 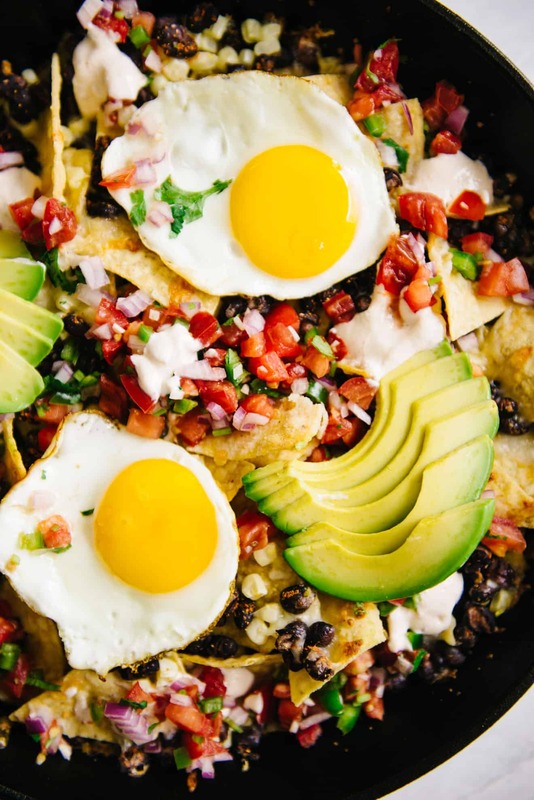 Top the nachos with the eggs, yogurt sauce, pico de gallo, and sliced avocados. Serve immediately. 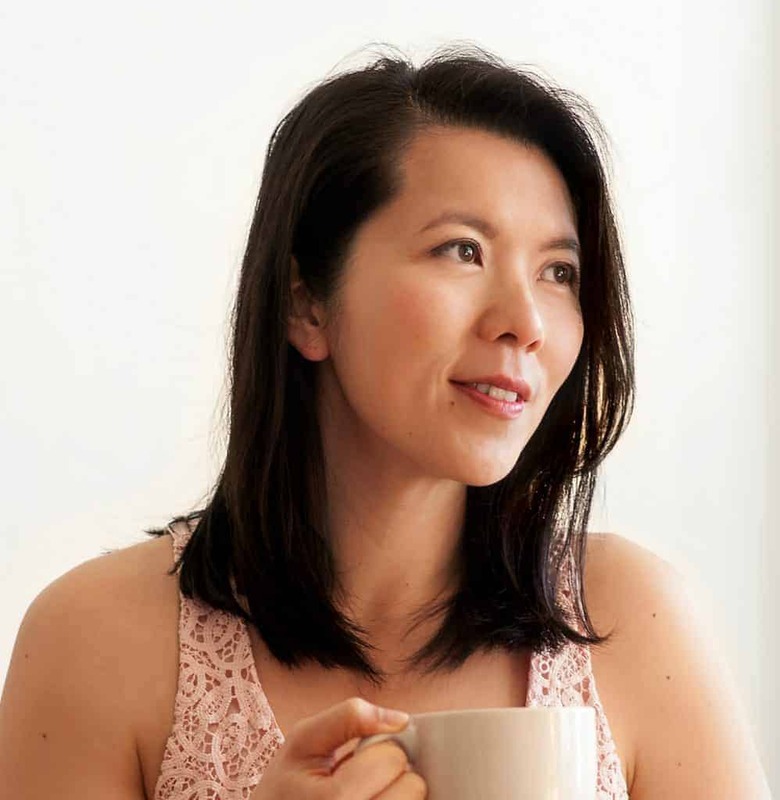 SUBSTITUTIONS: shichimi togarashi – you can replace this with 3/4 teaspoon paprika, 1/4 teaspoon cayenne powder, 1/4 teaspoon garlic or onion powder and a pinch of sesame seeds; sambal oelek: you can replace this with your favorite hot sauce. Disclosure: This post was sponsored by Safeway. Visit their website for more information or follow them on Facebook or Twitter! Click here find a location near you. I need to make this for my boyfriend and me for Sunday brunch. Now, this is what I mean when I say nachos.